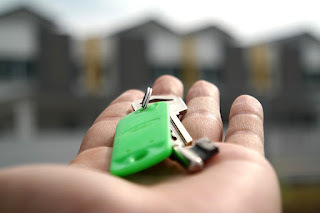 Home » Home buying » Real estate » Renting » Renting or Buying: Is One Better Than The Other? Renting or Buying: Is One Better Than The Other? It seems like more and more; people are concerned about getting on the property ladder. But should it be something that we are so obsessed with? Is owning a home ‘all that’ after all? There are many benefits to it, but there are many drawbacks too. So I’m going to look at those today with you, to see what option is going to be the best financial option for you. Each payment you make goes towards paying off the money for your home, meaning that you will eventually own it. When it is sold, and you have no mortgage, all of that money is yours. If the house price rises, you can make more money back than you bought the home for. You set your own rules, unlike residing in a landlord’s home. So you can decorate it as you like and have pets, for instance. You will only move house when you want to move house, not because a landlord wants you to move out. Buying a home can often mean making monthly repayments that are cheaper than paying rent each month. You can make changes to the home and renovate, without needing to seek approval from a landlord. This is a way to add value to the home too, meaning more money for you when it comes to selling. Upfront costs for buying a house, such as stamp duty and legal fees, can often be a lot more than you would have if you were renting and only needed things like renters insurance, for example. You have to pay for any repairs that occur. If the roof falls in on you, you will be the one sorting and paying for it all, not a landlord. If you hit different financial circumstances, it can be harder to make payments on your mortgage, which could leave you homeless. Of course, similar things would happen when renting, but you can get out of a contract quicker when renting than you could if you need to move house. You can’t just up and move a and when you please. You are tied to a certain location until your house sells, which can take a while. If you and a partner buy a home together and get a joint mortgage and then split, it can mean a massive headache when it comes to selling and dividing the asset. After looking at these points, it really does depend on where you are in your life. Are you in a stable job and a stable relationship if you’re looking for a joint mortgage? Do you have money saved for a deposit? If you can’t answer yes to any of these, then now might not be the time to buy, but rather to rent property. From there, you can put some money aside each month to put towards a deposit and look into what lenders will want from you. Good luck in your decision as to whether or not you rent or buy!